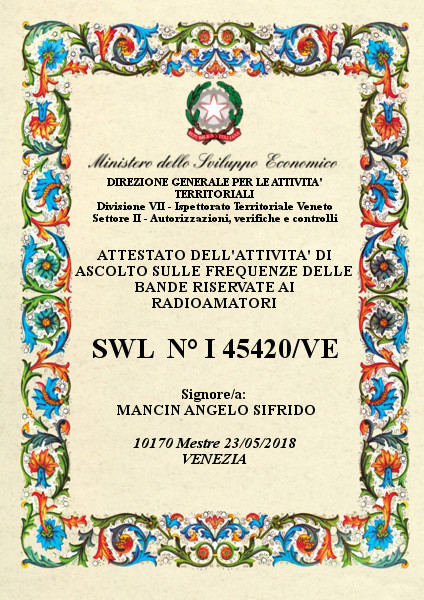 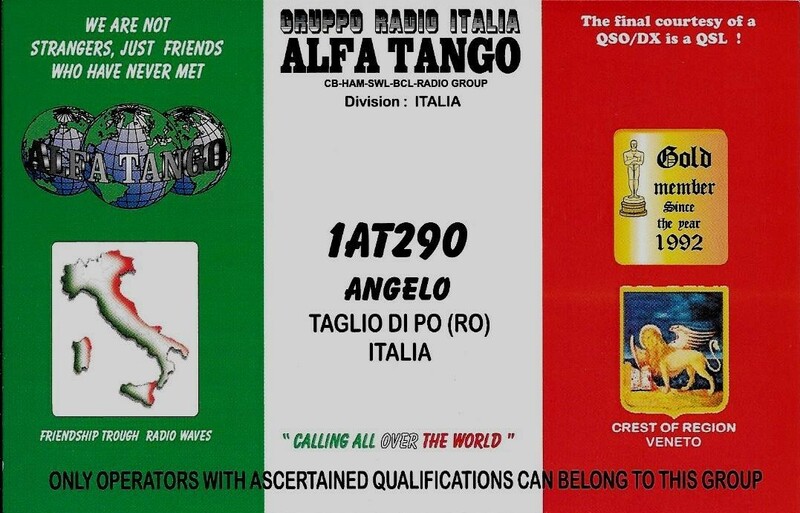 Welcome to my Web site, my radiant activity began in 1990, with the registration in a small named CLUB (Torino International DX), my number of units was: 1 TI 078 here I learned some notions useful for use of the Radio unknown to me, as the first Links with People of other Countries and Regions. 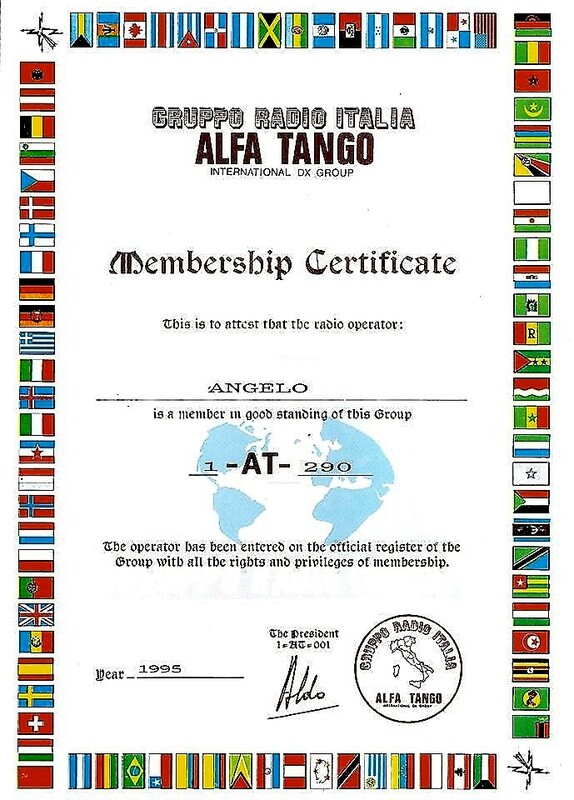 Since 1992 I have become an Operator of the ALFA TANGO GROUP. 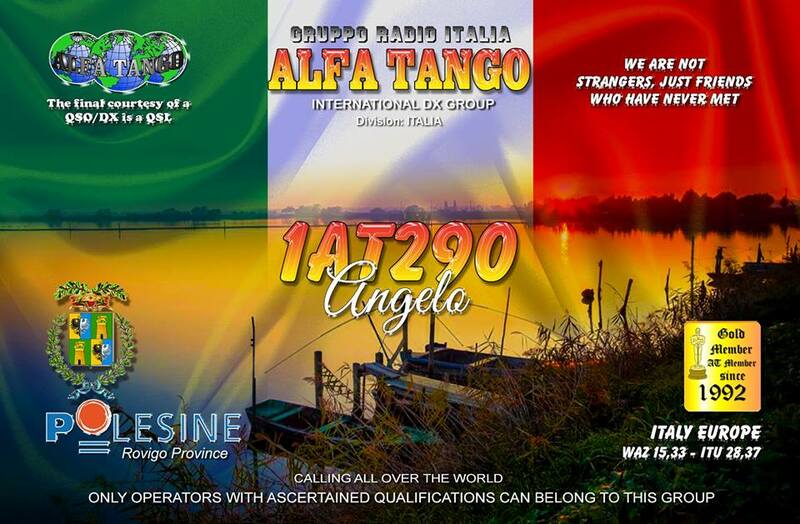 A leap in quality and the opportunity to increase my wealth of experience, a group with a greater number of members, Italians and foreigners from all over the world. 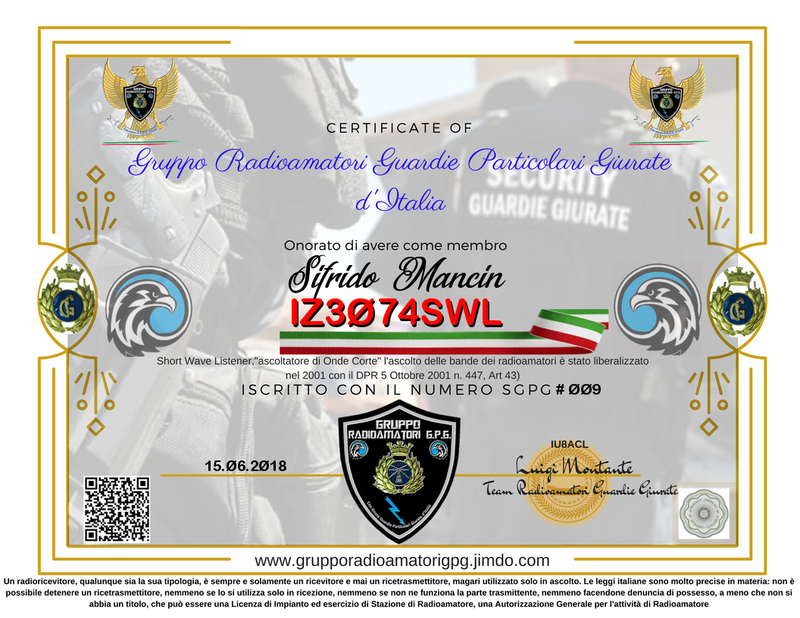 My first number of units was: 1 AT 1865; since 1994 I moved into the category becoming a “Super Class Operator” and I changed the number of 1AT290 units. 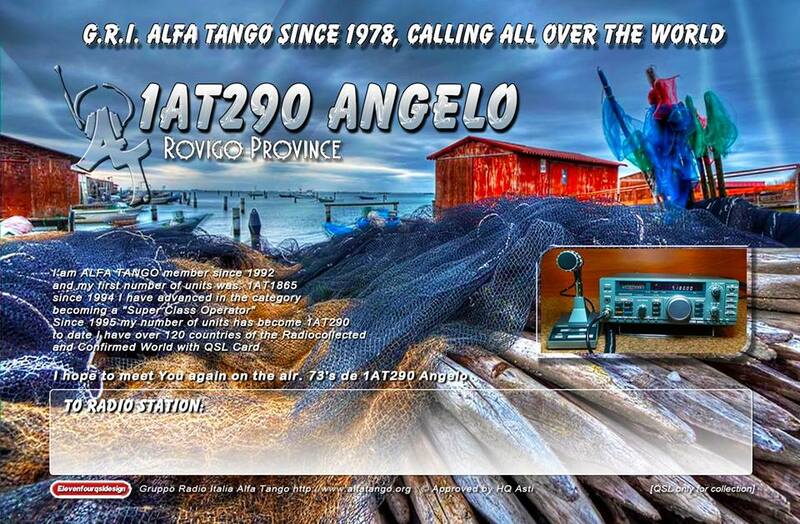 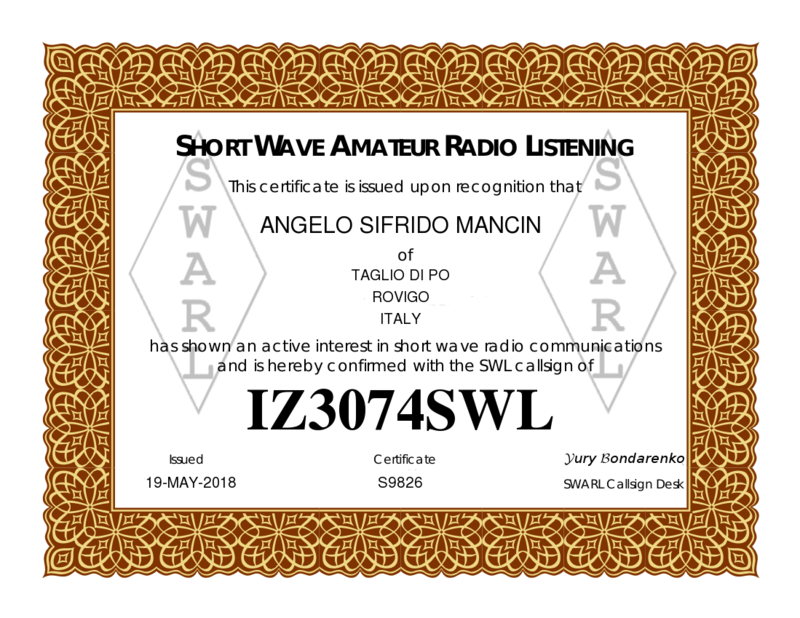 To date, I have over 120 countries of the World Radiocollegati and Confirmed with QSL Card. 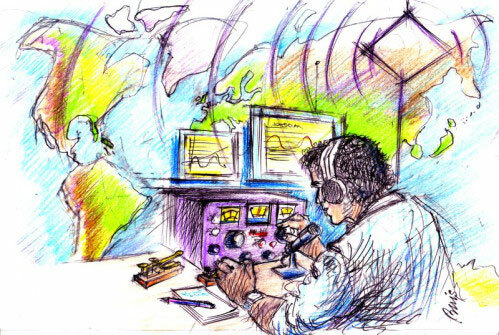 Thanks for your visit, 73’s to you and good DXs in 11 meters !!! 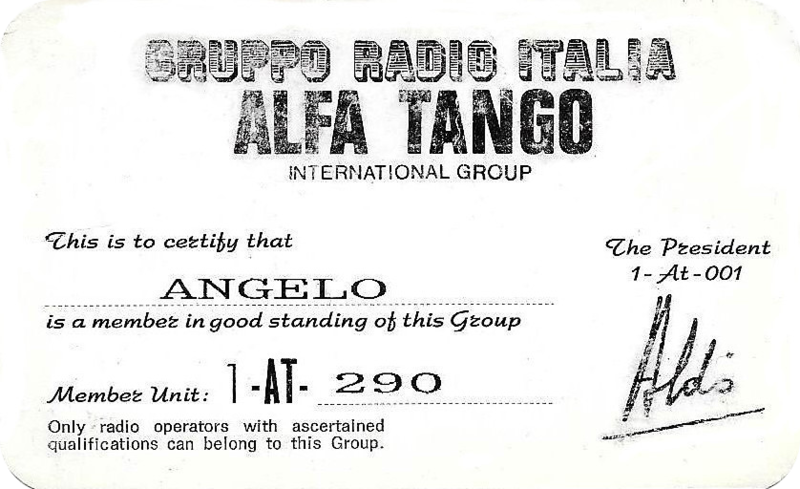 This is my certificate of radio operator received in the year 1995.